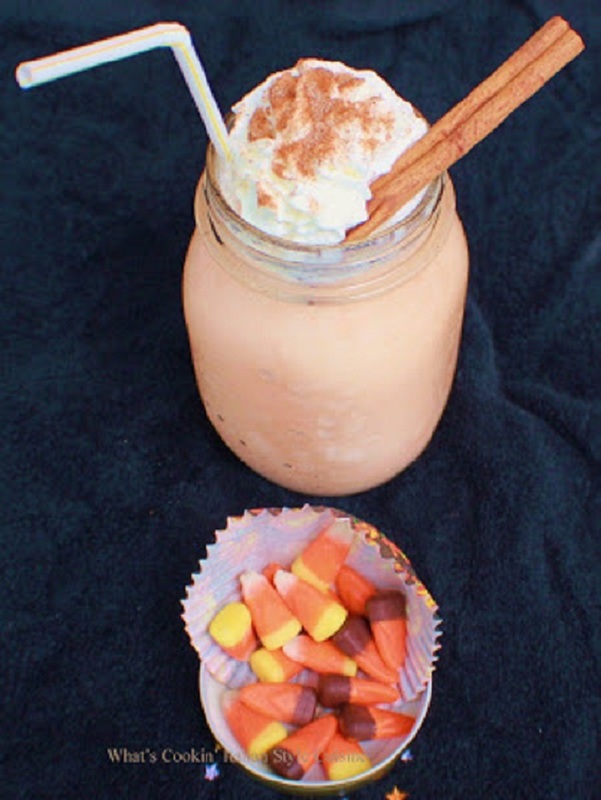 ﻿ This year I decided since we are outside most of the time and it's still just gorgeous out here, I would make a pumpkin drink that will sure to please anyone in warmer climates, so this one's for you wherever you are. In a blender add the frozen coffee, puree, flavoring, spices and milk. Blend on high till thick and mix together. Pour into a glass. Garnish with whipped cream, sprinkle with cinnamon sugar, add a cinnamon stick and sit back and relax! A lovely pumpkin drink. I don't think I have ever had one pumpkin latte. Totally intriguing. This sounds and looks so delicious! Perfect for these hot days in Houston. Happy Sunday! That sounds so exotic! A good drink to have at a Halloween party. Dear Claudia, That certainly looks refreshing and seasonal. 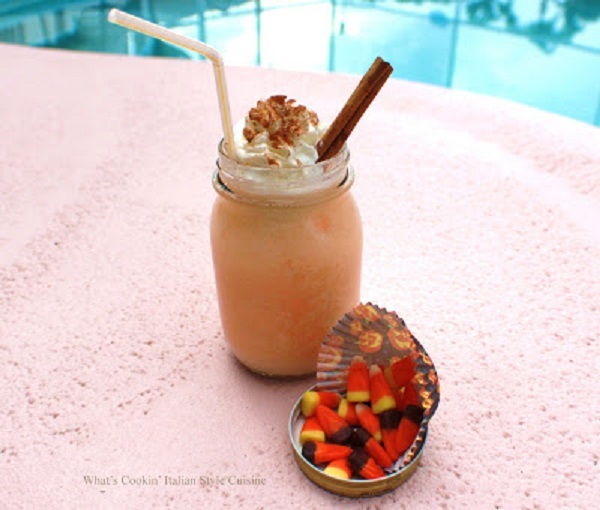 This would be perfect for a fall drink in Florida without the heat added to it. I'm like you, I can't drink anything that is hot when it is still so warm outside!